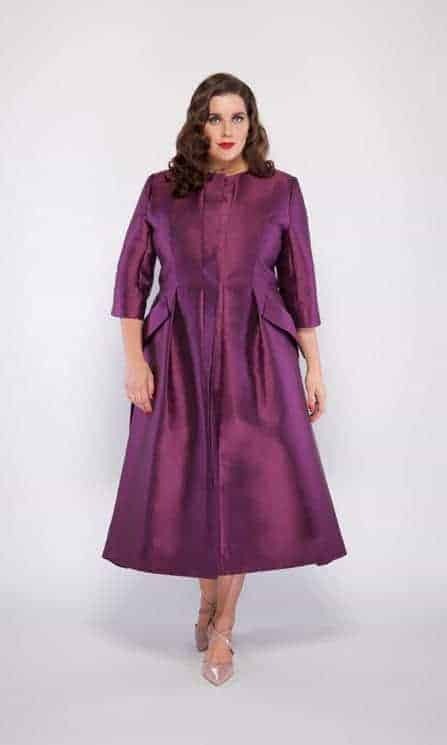 Fitted and tailored long dress coat with concealed front buttons, fully lines, oversized pockets and side and centre back box pleats. Suit jacket sleeves finishing with buttons. Made to measure with more colour options available in store.